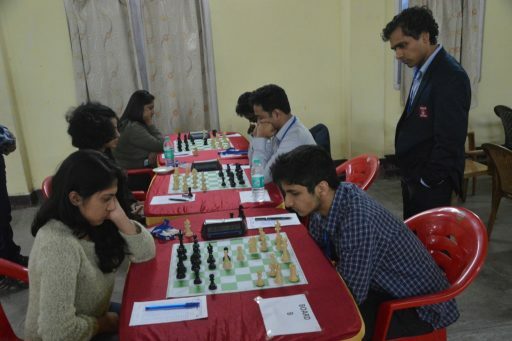 The 29th Inter-Unit Petroleum Sports Promotion Board (PSPB) Chess Tournament being hosted by Indian Oil Corporation Limited (Assam Oil Division) kicked off in Assam’s Digboi on Wednesday. The tournament was formally inaugurated by Mritunjoy Pramanik, executive director of IOCL, Assam Oil Division in the presence of Sunand Pandey CGM (Vig), A K Tamuli GM IC HR, senior officials of IOCL (AOD), chess players from various petroleum Companies of India, and enthusiasts from Indian Oil fraternity at Digboi. “Hosting the 29th PSPB Chess tournament in Digboi is a matter of pride for us and a great opportunity, where the local people will also be able to see national level players in action. I also compliment PSPB for its role in promotion of sports,” he added. 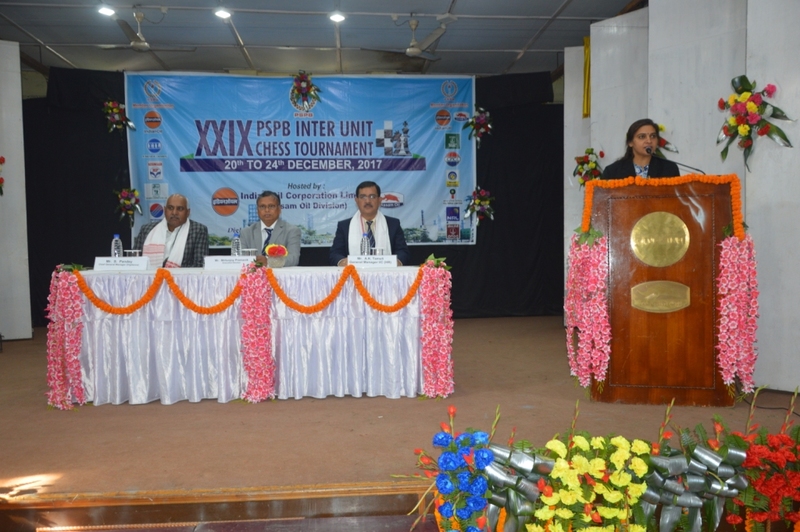 Organized under the aegis of PSPB, the 29th edition of Inter–Unit PSPB Chess tournament features 14 teams from nine organizations of India’s petroleum sector, the championship is being held for both team format and individual titles. The five-day tournament held at the Golden Jubilee Complex will conclude on December 24. Top ranking national level players like Lalith Babu (reigning national champion), Padmini Raut (reigning national champion), Surya Sekhar Ganguly, K Shashi Kiran, P Harikrishna, among others would be vying for the titles at the prestigious tournament. The participating organizations from various nook and corners of the country ‘s oil sectors include Indian Oil Corporation Limited, Oil India Limited, Bharat Petroleum Corporation Limited, Engineers India Limited, Hindustan Petroleum Corporation Limited, Oil and Natural Gas Corporation, Numaligarh Refinery Limited, Mangalore Refinery & Petrochemicals Ltd and IOCL (AOD). The event is being conducted by International Arbiter Vasanth Bh of Karnataka as the Chief Arbiter, FIDE Arbiter Biswajit Bharadwaj as Deputy Chief Arbiter and Senior National Arbiter Swaraj Buragohain as Deputy Arbiter. A press interaction and an important managers’ meet was also held earlier as curtain-raiser of the event.